Manufacturer of a wide range of products which include prop sleeve, prop plate, prop nut, l & t type prop nut and prop nut 48 mm. In order to cater the variegated demands of our precious clients, we are offering an excellent quality range of Prop Sleeve. 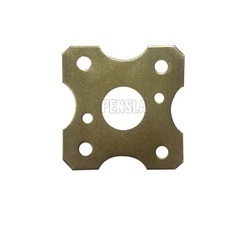 It is developed by using Mild Steel purchased from certified vendors of the market. We offered these products at comparatively low prices. With the help of our state-of-the-art infrastructure unit, we are able to manufacture superlative quality of Prop Plate. Our professionals make use of high grade raw material and cutting edge technology to manufacture and finish these plates. Further, we precisely test the entire range against various quality parameters to maintain the quality and avoid any kind of flaw. Our customers can avail these plates as per their need at industry competent prices. 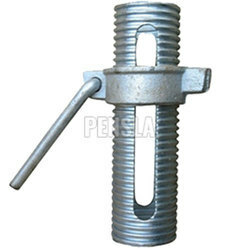 We are reckoned as major entity actively engaged in manufacturing high performing Prop Nut. 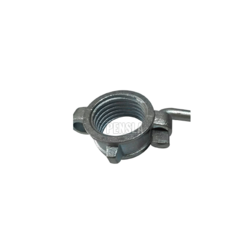 These prop nuts are widely demanded to support all kinds of Adjustabl Prop's in formwork fixtures and utilized in varied construction applications. 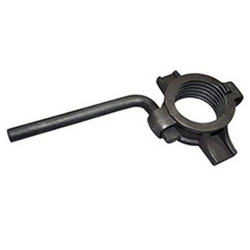 Further, our offered nuts are developed by Casting as well as by forging. 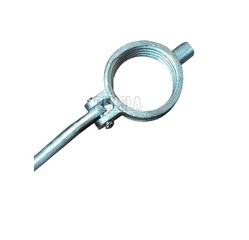 It is also Knows as Ring Nut, Light Prop Nut, Export Type Prop Nut, Prop Nut with Handle, Etc. In order to cater the variegated demands of our precious clients, we are offering an excellent quality range of L & T Type Prop Nut. In order to cater the variegated demands of our precious clients, we are offering an excellent quality range of 48 MM Prop Nut. It's also called as Collar Nut.